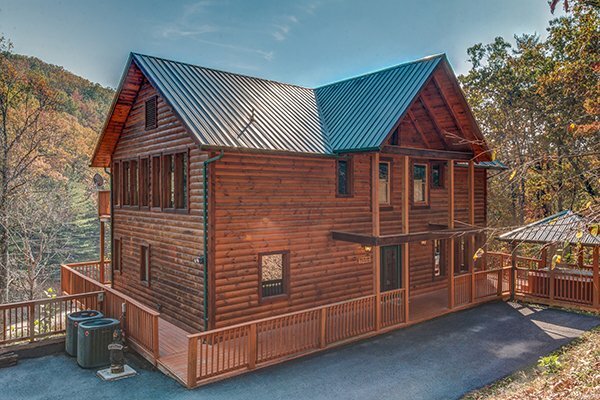 Rocky Top Lodge is a new construction cabin painstakingly built over 2 years by the home's owner. 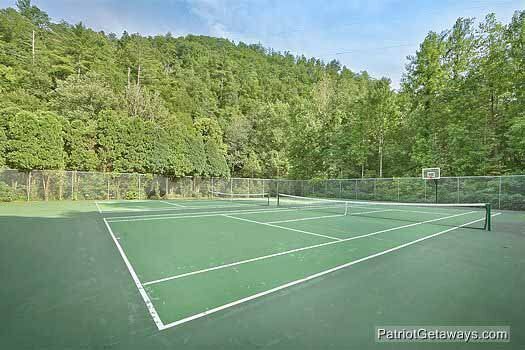 Located in the gated mountain home village of Shagbark, this 3 bed, 2.5 bath home is big and spacious. 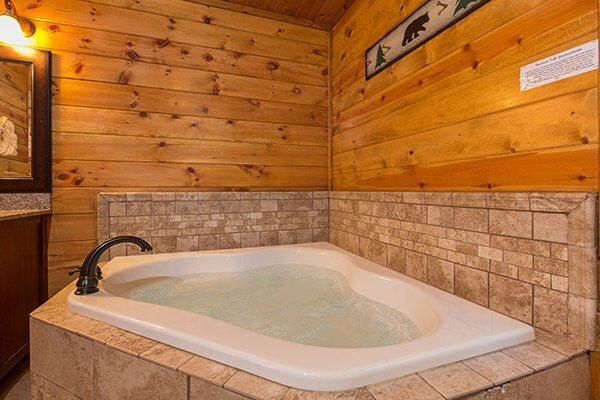 You will enjoy the custom glass shower in the King master suite and the private views from the 2 back bedrooms. Rainy day? 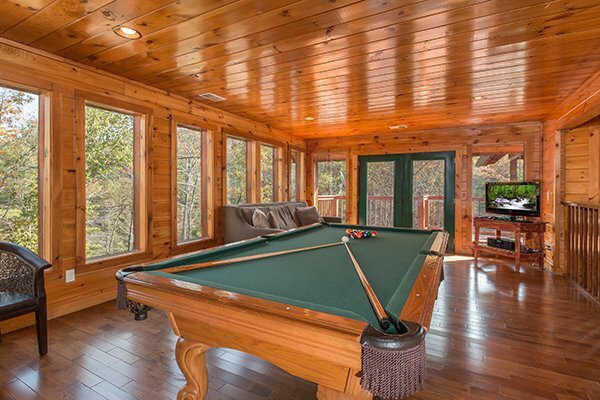 Just chill out at the cabin under the huge covered porch, or hangout in the game room and shoot some pool. 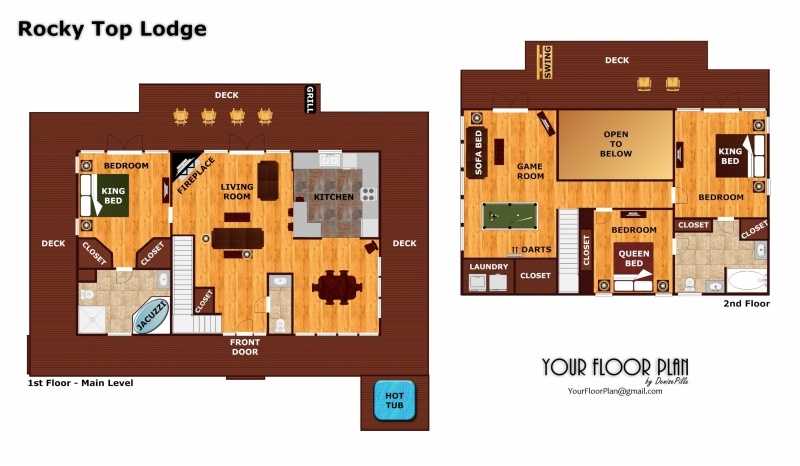 Amateur chefs will enjoy the large custom kitchen with room for the whole family to congregate. Too much activity on vacation? Just curl up on the sofa in front of the fireplace and catch a movie on the satellite tv on one of the 5 flat screen TV's in this home. 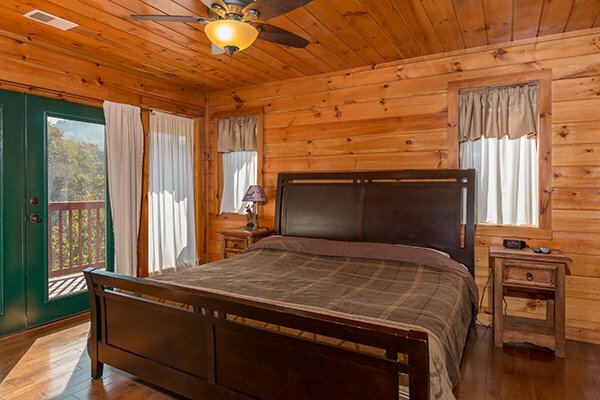 Nothing is missed in the custom Rocky Top Lodge, never before offered for vacation rental! 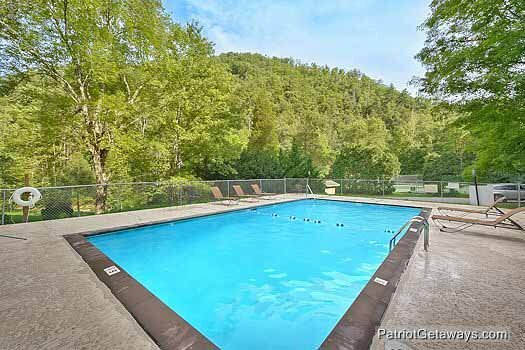 Shagbark resort pool opens Memorial Day! Fantastic experience, Mary was wonderful to work with and the service was excellent!! My family and I loved this cabin and definitely will stay here again. We are already planning for next year. Thank you APG!! Our family loved Rocky Top Lodge. We would definitely stay there again. We really enjoyed the stay at this cabin and this location! 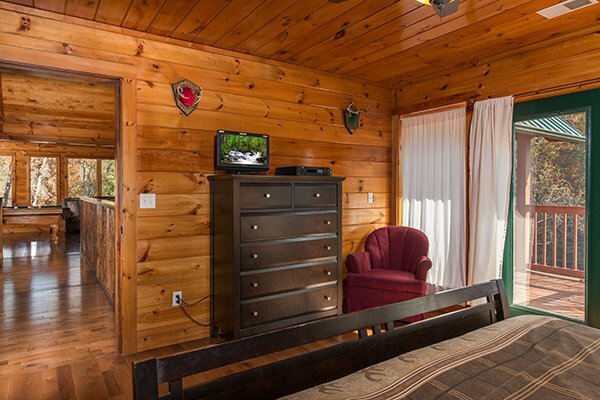 We will most likely stay a this cabin again! This is our second stay with American Patriot Getaways since Nov of last year. Both experiences have been great! 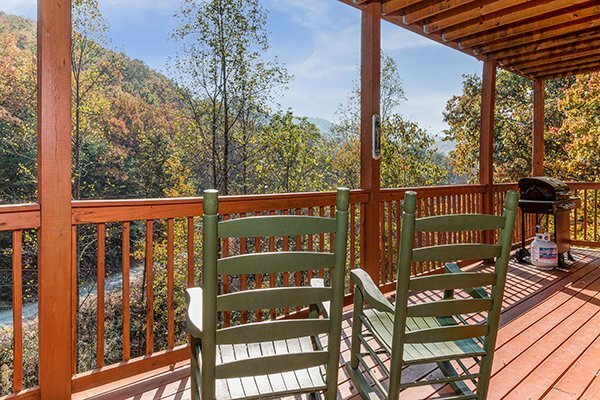 Rocky Top was perfect for this vacation and we will definitely book through you the next time that we decide to vacation in the Smokies! Your staff is awesome! Thank you! My annual Chic Cabin Trip is always a great success thanks to your great service and cabins!This was the cleanest cabin we have had so far, the kitchen was amazing, and when we had an issue with the upstairs A/C, your staff had a tech out there quickly and the issue was resolved with a smile!We will see you in 2017! 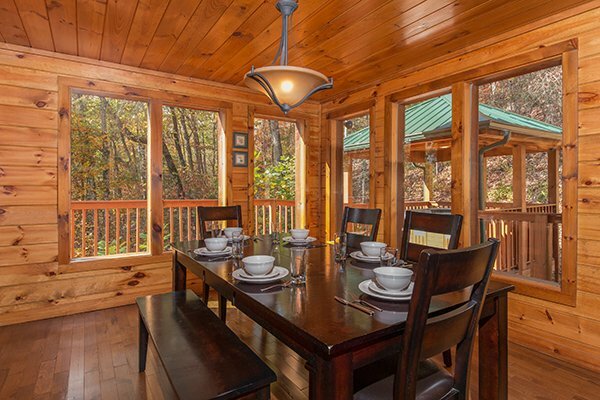 We just stayed at the Rocky Top Lodge and were completely taken aback when we entered the GORGEOUS cabin! It was super clean and simply beautiful. The location was not where I expected but it being my first time in the area I did not know. It was still a very easy commute to the bottom of the mountain and to all of the fun. The kitchen was very well stocked and the beds were comfortable. We even got to see some snow while we were there. We had an issue with the wifi that was quickly resolved and even got several follow up phone calls to ensure it was resolved. 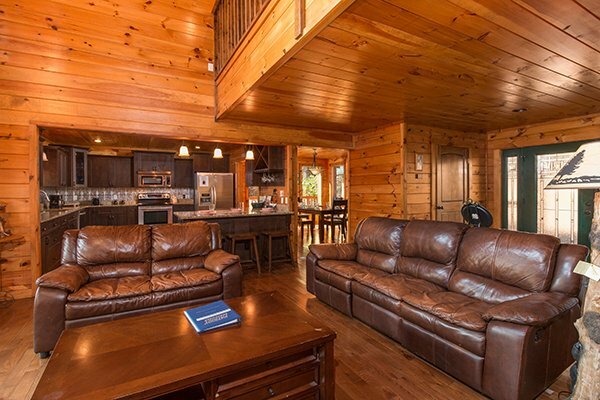 All in all, we loved our cabin and were discussing our next vacation there even before checking out! The check in and check out were easy and stress free. Thank you so much for a very memorable vacation on an amazing property! Everyone I spoke with was helpful and courteous. The cabin was great and everyone enjoyed the weekend. 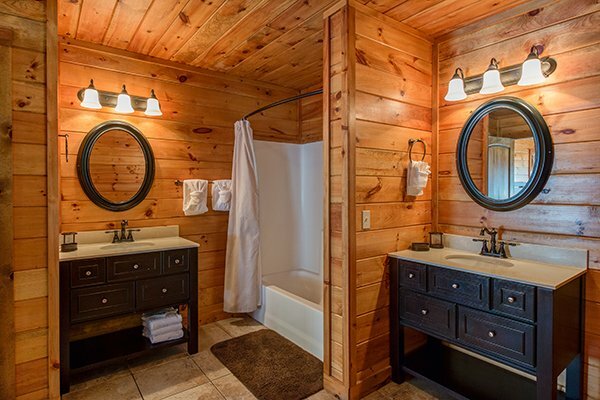 Loved the cabin, especially the kitchen and the bathrooms. Everything we needed and lots of space. 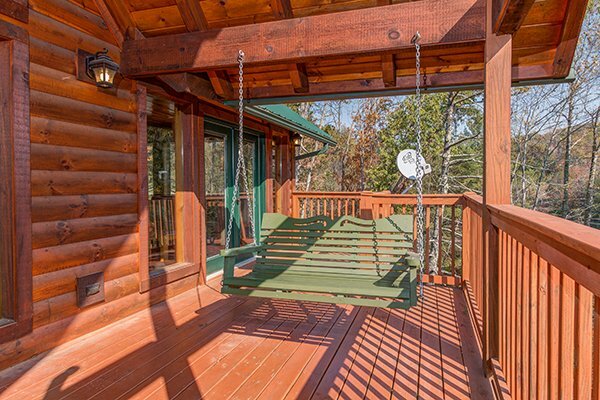 We will definitely be returning to this cabin. We all had a great time. Our only regret was only staying 2 nights! 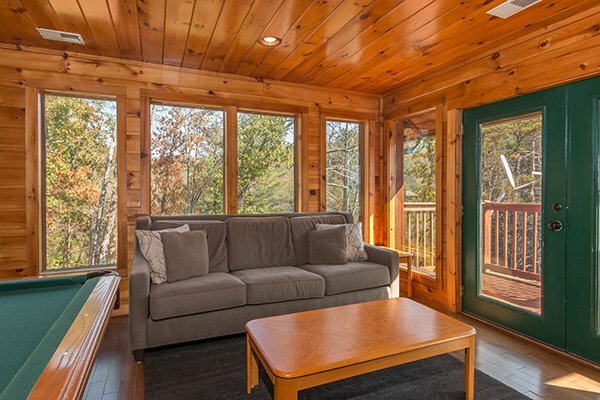 We love this cabin! We have stayed in it last fall and this fall. More towels and wash rags are needed though. This was an awesome cabin. 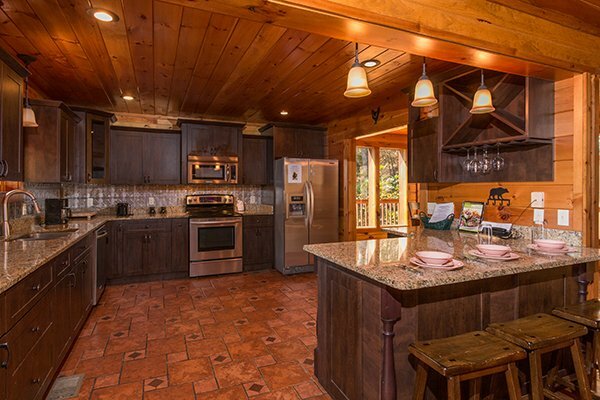 Quiet, spacious and a huge kitchen perfect for our family to gather and cook in! We loved it and are already talking about going back! Our family has used APG for years now and we continue to be pleased. 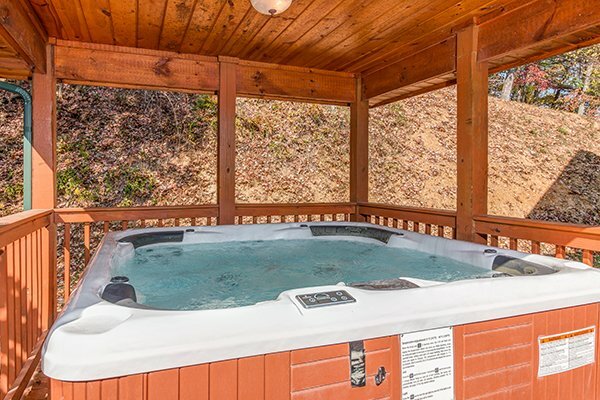 We appreciate the good customer service, a simple rental process, your online specials and for offering a great variety of cabins. We look forward to next year! 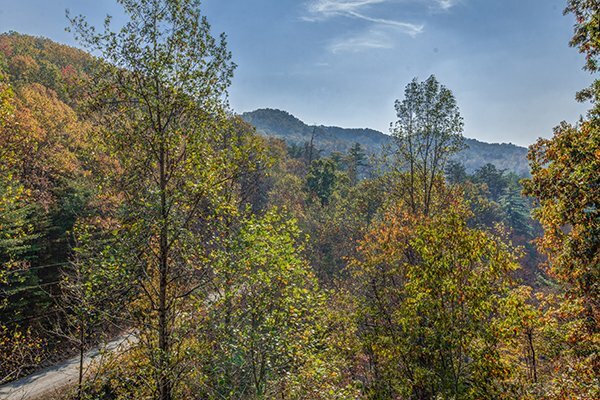 During past visits to gatlinburg and Pigeon Forge, it has been our habit to spend very little time in the rental. 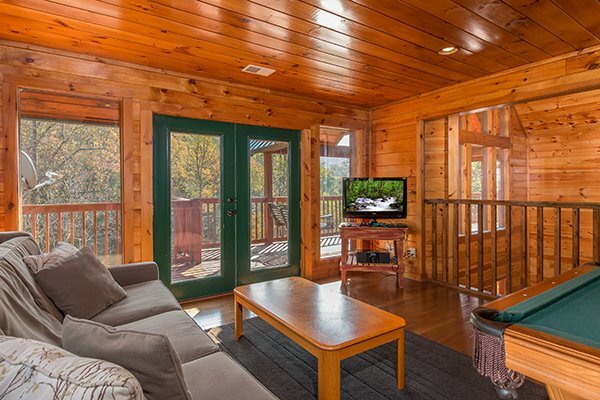 This cabin was the first property in which we wanted to spend extra time. Cozy, comfortable, and beautiful! 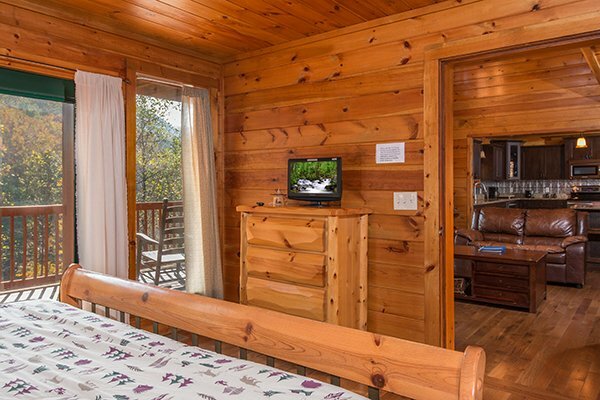 The Rocky Top Lodge is a great cabin and enhanced our vacation experience. 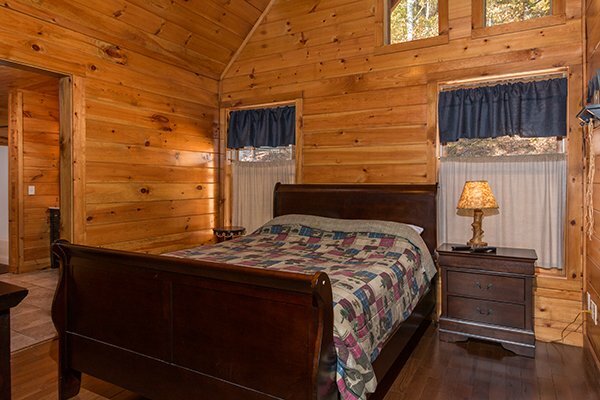 The cabin looked just like the photos presented on the website. The kitchen was wonderful. 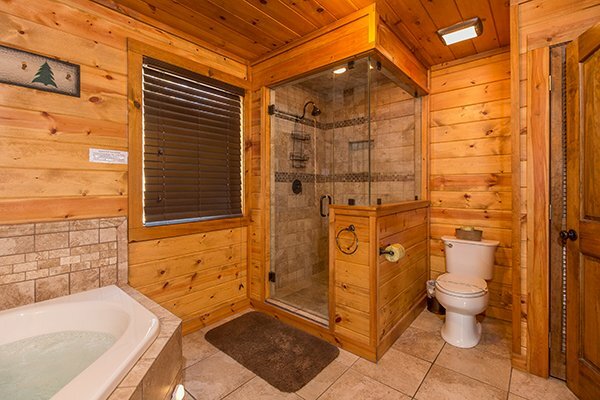 The master bathroom was heavenly! Everything was clean and inviting. 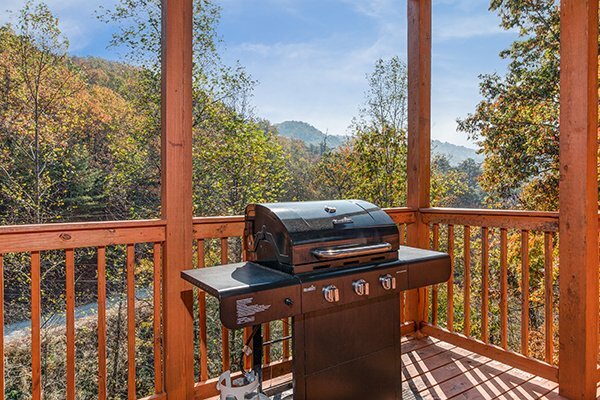 The location is minutes away from great food and shopping. 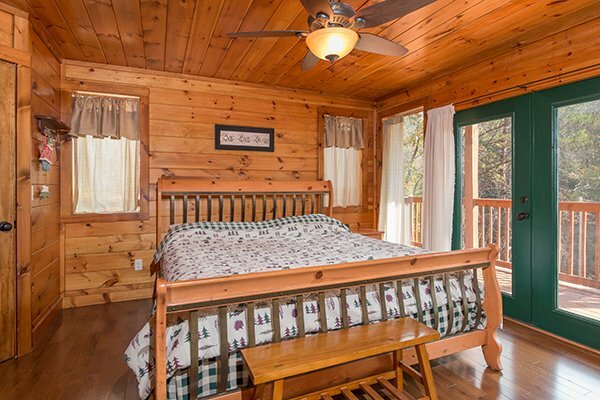 My family would definitely recommend this cabin to others and we would rent the cabin again. 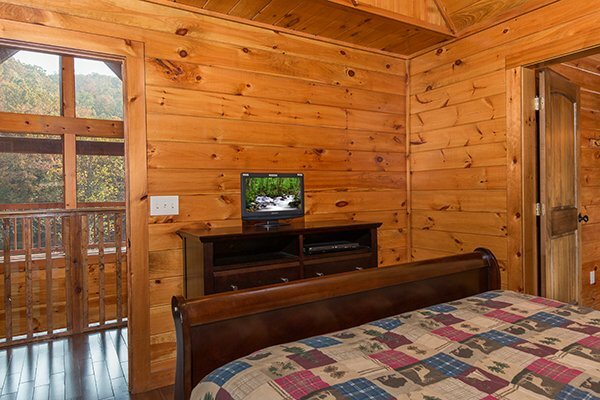 Make sure your car is in great condition to climb the mountain to this cabin. 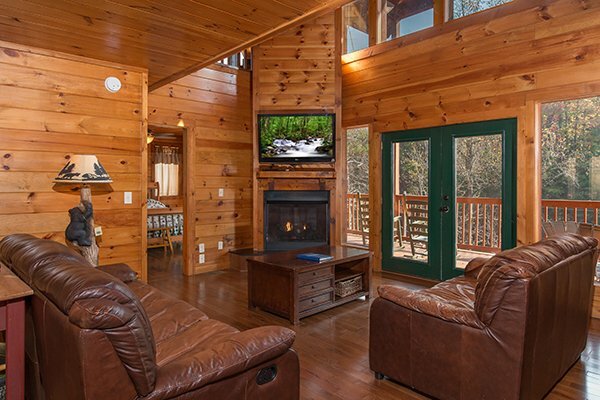 We had an amazing experience....the cabin was beautiful,its decor and furnishings were inviting and we had a chance to cozy up in front of the fireplace as we watched the snow falling. It was truly one of our most memorable vacations and we can't wait to return to Rocky Top Lodge!